If you’re aware of what’s going on in the world, chances are you’re familiar with the terms “cryptocurrency,” “blockchain,” and “bitcoins.” To give you an idea, cryptocurrency is just a medium of exchange that is created and stored electronically in blockchains. Blockchains are nothing but a decentralized ledger of all transactions across any P2P network. Technologies like these and many more are on a steep rise thanks to the continuous growth of data in our world. Yes, data – the fuel that runs the world as we know it. Blockchains and cryptocurrencies thrive on data science, and data science is nothing without data. If you want to gain expertise in Data Science, there are numerous Big Data certifications available that you can opt for. Now, without further ado, let’s talk about the best cryptocurrency exchanges in India where you can buy bitcoins from. Hardly take 15 minutes for approval of your documents. They have to improve customer support by introducing some options such as chat & call support. Unocoin was founded in 2013 in Karnataka with the mission to “bring bitcoins to billions”. It is India’s first entrant into the Bitcoin market. 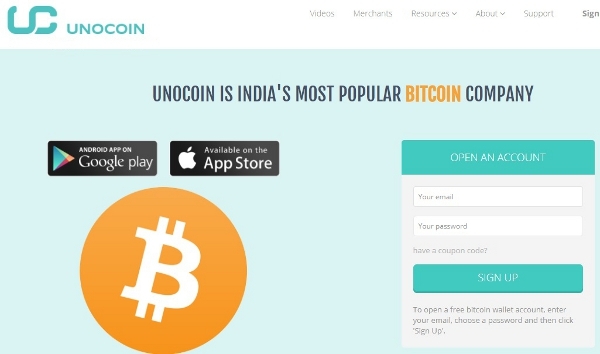 Today, Unocoin is India’s leading Bitcoin platform. They allow customers having any Indian bank account to buy Bitcoins via NEFT / RTGS or online banking. Not private, as it requires you to submit your ID proof. 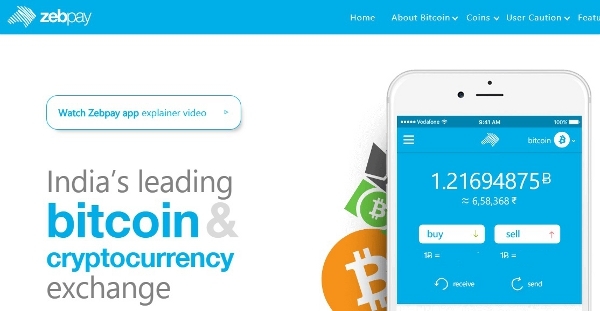 Zebpay is a Bitcoin broker based out of India. It has Android and iOS apps that make it easier to you bitcoins just by linking your Indian bank account with it. Less transparency regarding fees. It’s included in buy/sell prices but not displayed publicly. Requires you to link your ID proof, hence not private. Coinsecure is a Bitcoin trading platform that offers very low fees at just 0.3% per buy. It also has a number of deposit options including NEFT, IMPS, RTGS, and cash deposit. Coinsecure’s trade engine is the fastest real-time bitcoin exchange system in India. It is one of the largest bitcoin exchanges by volume in India with the trade volume being around 3000 BTC monthly. It is also a member of the Bitcoin Foundation as well as a Silver Founding Donor for the BitGive Foundation. Coinmama is a Bitcoin broker that allows customers from almost all the companies to trade Bitcoins with a credit or a debit card. Coinmama charges 6% fees on each Bitcoin purchase. It’s preferred for small purchases quickly as you won’t need to confirm your identity if you’re buying Bitcoins worth less than $150. LocalBitcoins is an escrow service which helps in connecting Bitcoin buyers and sellers. The most preferred method of payment in LocalBitcoins is through cash deposit. However, many users advertise beforehand whichever payment method they prefer. Through LocalBitcoins, you’ll buy bitcoins via a one-to-one meeting secured and facilitated by LocalBitcoins. This makes it one of the safest, fastest, and the most private way of purchasing Bitcoins in any country. VirWoX stands for Virtual World Exchange. It isn’t a Bitcoin wallet, per se, but it uses a workaround that makes it the easiest and most powerful way to purchase Bitcoins using PayPal. VirWoX lets you buy Second Life Lindens – a currency used in Second Life, a virtual world. Now, you can trade your SLLs for Bitcoins. This process works perfectly and allows you to quickly purchase Bitcoins using PayPal, but it’ll cost you around 10% in fees. Mycelium Local Trader helps you locate Bitcoin sellers near you. Once you’ve located one, you can meet in-person or talk over the phone and conduct the trade. Mycelium charges zero fees in the process. Bitcoins are the future, and now that you’re aware of how to acquire them, don’t think twice. Explore any of these platforms and see which fits your needs the best. Apart from this if you want to earn free bitcoins instantly then try online faucets. These websites can help you to earn small amount of bitcoins on a daily basis.